The Hoops 4 Health programme is specifically delivered to Years 5 and 6. Hoops 4 Health links to the Eagles Community Foundation basketball development programme. 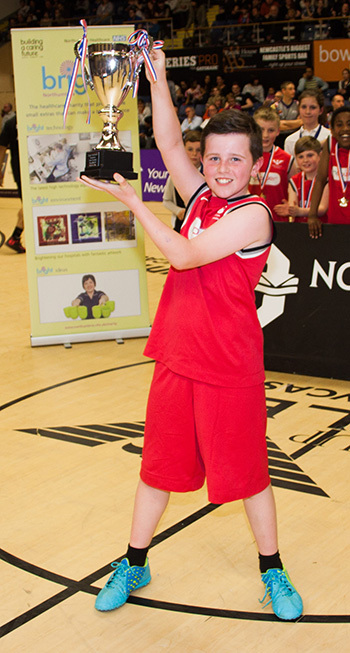 Participants in the Hoops 4 Health scheme are offered the opportunity to attend a range of Under-12s basketball clubs across the area. The key to the Hoops 4 Health programme is in the utilisation of Newcastle Eagles players to push forward a primary message of physical activity and eating healthily to stay alive. Basketball is promoted as an easy way to keep fit and enjoy yourself. 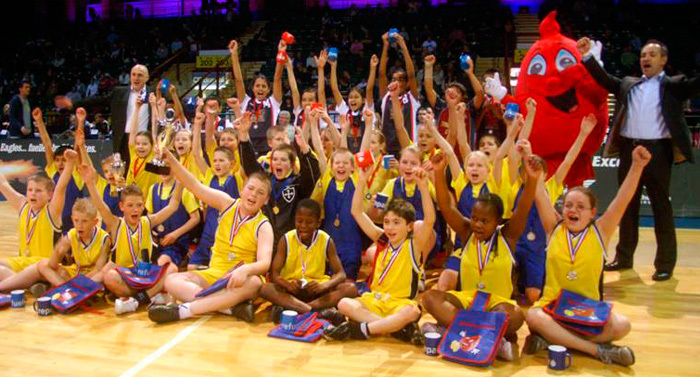 The initial work of the players then feeds into the work of the club’s basketball development scheme – giving children extended opportunities to play basketball. The roadshows concentrate on increasing the children’s understanding of leading a healthy lifestyle and is done through using the Newcastle Eagles Players as role models.